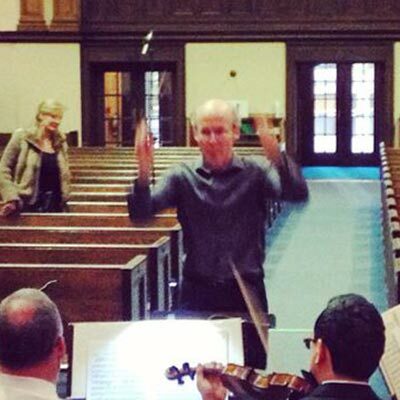 Jean-Michel Malouf enjoys a flourishing career as a conductor. He conducted GTPO's launch concert in October 2008 and since then has directed the orchestra regularly every season. His remarkable precision, sensitivity and natural leadership quickly earned him the position of Principal conductor with GTPO from 2013-2014 Season. From June 2012 to December 2014, he was also conductor-in-residency of "I Musici di Montreal" Chamber Orchestra. He conducted "I Musici" in many concerts and was both soloist and conductor for a series of concerts the ensemble gave in Montreal in December 2013. In recent years, he has also been invited to conduct the Orchestre Métropolitain of Montreal, the Thunder Bay Symphony, the London Symphony, Les Violons du Roy and the Montreal Contemporary Ensemble +. 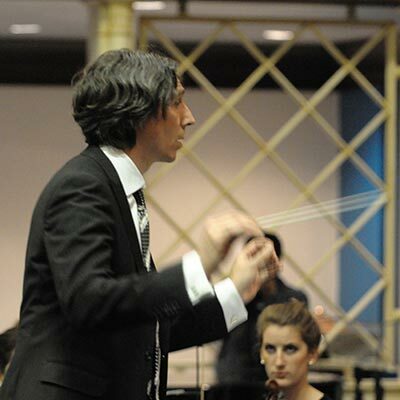 Jean-Michel began studying orchestral conducting in 2005 with Raffi Armenian. In 2006, he was named Artistic Director of the Orchestre Symphonique des Jeunes de Joliette, position he held until 2011. Over the following years, he was appointed Conductor and Artistic Director of the Orchestre de Terrebonne, the Philharmonie Jeunesse de Montreal and the Sérénade Chamber Orchestra. Conductor David Fallis is one of Canada’s leading interpreters of operatic and choral/orchestral repertoire, especially from the Baroque and Classical periods. As Music Director forOpera Atelier, he has helped bring that company onto stages around the world, and for them Mr. Fallis has conducted Mozart’s The Magic Flute, The Marriage of Figaro, Don Giovanni and The Abduction from the Seraglio, Monteverdi’s Orfeo, Il ritorno d’Ulisse and L’incoronazione di Poppea, Purcell’s Dido and Aeneas, Handel’s Acis and Galatea, La Resurrezione and Il Pastor fido, Rameau’s Pygmalion and Gluck’s Orfeo ed Euridice among many others. Twice, he has led the Opera Atelier forces on tour to Seoul, South Korea conducting the Korean Symphony Orchestra and Camerata Antiqua Seoul, and in Japan, conducting Don Giovanni and Le Nozze di Figaro. The 2010/11 season sees Mr. Fallis conduct the Opera Atelier productions of Handel’s Acis and Galatea and Mozart’s La Clemenza di Tito. He has also led critically acclaimed productions for Houston Grand Opera, Cleveland Opera, Wolftrap Theater and Utah Opera, while on the symphonic stage he has conducted Symphony Nova Scotia, Orchestra London, the Windsor Symphony, and Symphony New Brunswick, as well as at Festival Vancouver and the Elora Festival. Mr. Fallis is the Artistic Director of the Toronto Consort, Canada’s leading chamber ensemble specializing in the music of the Middle Ages, Renaissance and early Baroque. With them, he has toured extensively across Canada and in Europe, and has led the ensemble in numerous recordings for Marquis Classics, Dorian Records and SRI. Mr. Fallis has also worked in television, and is currently the historical music coordinator and producer for “The Tudors”, starring Jonathan Rhys Meyers as Henry VIII of England, produced by the U.S. network Showtime. He conducted the world premiere of R. Murray Schafer’s The Children’s Crusade at the 2009 Luminato Festival in Toronto, and under the auspices of Soundstreams Canada, has recently founded Choir 21, a new vocal ensemble specializing in the music of the 20th and 21st centuries which had its debut performance in a program of music by Jonathan Harvey in March 2010. Mr. Fallis teaches in the Graduate Department of the Faculty of Music at the University of Toronto.